Does the DB885 have a two-stage clutch? 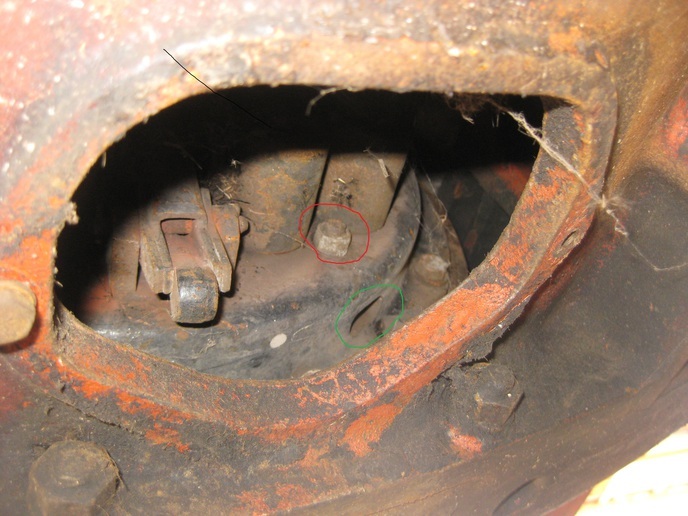 Posted: Thu Jan 11, 2018 4:01 pm Post subject: Does the DB885 have a two-stage clutch? With the pto engaged depressing the clutch does not stop the pto output from turning, is this normal? Would make for an interesting day running a post hole auger if it is. Posted: Thu Jan 11, 2018 4:33 pm Post subject: Re: Does the DB885 have a two-stage clutch? Scott, depressing the clutch half way will stop the tractor motion and all the way down will stop the PTO. If not, clutch is either stuck to the flywheel or out of adjustment. Pto clutch probably stuck. Posted: Thu Jan 11, 2018 5:33 pm Post subject: Re: Does the DB885 have a two-stage clutch? (quoted from post at 17:33:09 01/11/1 Scott, depressing the clutch half way will stop the tractor motion and all the way down will stop the PTO. If not, clutch is either stuck to the flywheel or out of adjustment. Pto clutch probably stuck. Any advice about diagnosing? The pto clutch you refer to in your last sentence, is that what you think is stuck to the flywheel? I'm thinking of trading for this tractor and would like to have some idea of what to expect will be required to fix it. If an adjustment is all that is needed, a link or directions as to how the adjustment is done would be appreciated. I'd like to see the clutch work before committing. Posted: Thu Jan 11, 2018 7:04 pm Post subject: Re: Does the DB885 have a two-stage clutch? Posted: Thu Jan 11, 2018 10:35 pm Post subject: Re: Does the DB885 have a two-stage clutch? Posted: Fri Jan 12, 2018 4:40 am Post subject: Re: Does the DB885 have a two-stage clutch? Did the bush hog thing yesterday. No luck. Have read an online reprint of the factory manual regarding the clutch. 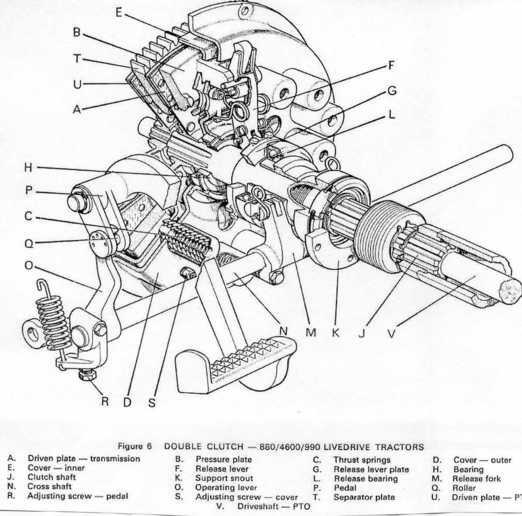 Matching numbered parts from the text to the drawing of the exploded view and relating where those parts are located on an unfamiliar, assembled tractor 90 miles away... Guess I need to make copies of relevant pages of the manual, attempt making the special tools and drive back there to have a go with it. As far as wrench and socket sizes, 6pt/12pt, deep/shallow, extensions, etc., any suggestions as to what to sure I have on hand? Current owner took the tractor from the grandson of the original purchaser in trade for rent. It had set in a shed for twenty years seeing infrequent use. By the hour meter it has seen an average of 10hours/month over 39 years. Current owner is not at all familiar with the machine. Posted: Fri Jan 12, 2018 4:52 pm Post subject: Re: Does the DB885 have a two-stage clutch? Is this what your clutch looks like? Tractor sat for 20 years and now the PTO clutch won't disengage? I would agree with Arleninor - the "driven plate" ("U" in the diagram) has bonded to the surface of the flywheel (not shown in diagram). 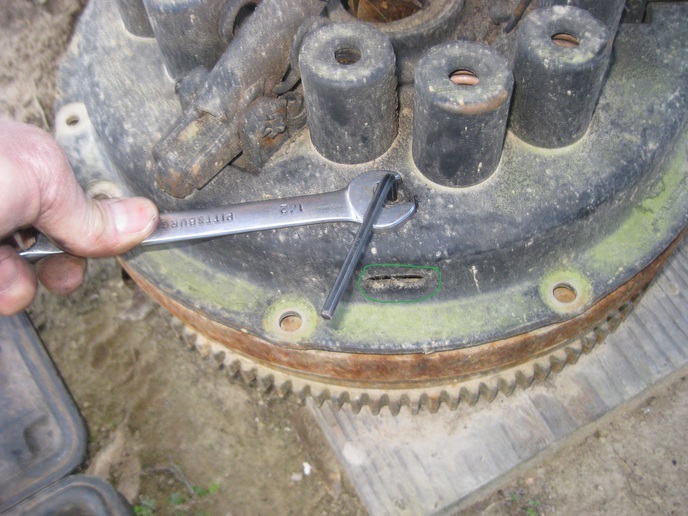 And possibly the "separator plate" ("T" in the diagram) has rusted its teeth around the periphery, and can no longer slide like it needs to in order for the pto clutch to disengage. Both of these scenarios have likely occurred in your tractor. IMHO - will need to split tractor and loosen these parts. There's no amount of adjusting that will help this situation. Note: the adjuster is labeled "S" in the diagram and you will need an open end wrench (1/2" plus or minus) and an allen key to adjust. There are three of them. But again, this won't help matters. Need to split. How hard would it be to get the loader off? Splitting sounds intimidating but its not that bad. Removing loader will be the hard part. Posted: Fri Jan 12, 2018 6:19 pm Post subject: Re: Does the DB885 have a two-stage clutch? Scott, Joe explained it perfectly. That is what I was trying to say in my other post. Not a bad job to split. Those tractors are about the easiest tractors all around. I have several and they do everything asked of them. Posted: Sat Jan 13, 2018 4:48 am Post subject: Re: Does the DB885 have a two-stage clutch? I misstated, the edit function doesn't work or I would have corrected my earlier comments; the tractor was barely used the last twenty years during which time it was parked in a shed. Doesn't change the possibly need to split the tractor, no-use, limited use or no use at all... stuck is stuck. Need to see if adjustment will help first, as I am contemplating trading a piece of equipment I own for this tractor, if it needs to come apart my labor to split it needs to be figured in. My take after talking to him is the owner shouldn't work on it. I found the same picture posted of the Double Clutch and made a copy. I am assuming the access hole is on the right side? Book doesn't say. Clearances are given for the Cover Adjusting Screw but I must admit I am puzzled as to where the measurement is taken; under the lock-nut? Does it take a trick feeler gauge to reach? Also, the order of things clutch adjustment--first is free-play, second is the cover screws clearances then (short of splitting) is the eccentric roller. I take it the inspection hole (once I find it) will not allow assessment of disk condition? Would the Pedal Adjusting Screws setting be an indication of remain clutch life? Back in the day I can remember removing the pedal stop under the dash of my '67 C20 to obtain free-play when the adjuster threads ran out. Posted: Sat Jan 13, 2018 8:40 am Post subject: Re: Does the DB885 have a two-stage clutch? Access is a plastic cover at the bottom of bell housing. I would just plan on splitting the tractor to fix. Once they stick it is hard to get them unstuck. the access cover as designed, has a small opening that is big enough for mice to get in and set up housekeeping. Posted: Sat Jan 13, 2018 12:11 pm Post subject: Re: Does the DB885 have a two-stage clutch? Okay then, thanks. I have emailed owner with the news, so now I wait. He bush hogged last season with it this way... if the engine was running the PTO was turning. Scared me. In his defense, he didn't now it should have been otherwise. Told him the prospect of running a post hole auger with it would be a big hit on Utube. Any guess as to how much time it would take someone with experience to split, free-up and reassemble the tractor? I want to have some idea of how much $ he's looking to add to our trade. Posted: Sat Jan 13, 2018 5:26 pm Post subject: Re: Does the DB885 have a two-stage clutch? It would take me six hours to do the split, but I'm slow (and this assumes no loader or cab). The last time I had one with a stuck "separator plate", it took me about 45 minutes just to free up the separator plate by beating on it with a block of wood and sledge while spraying WD-40 around the periphery. Note: if you do end up splitting, replace both clutch discs and the three (3) bearings while you have it apart (subtract another $300 from your purchase price). Since it is comparatively easy to adjust the three screws, it might pay to try that before undertaking the much more laborious and time consuming split. Go to the attached link and turn to page 16. There will be a paragraph titled "Adjustment 885 Tractors". That paragraph gives the instructions for adjusting the three adjusting screws. I photographed the view through the access panel underneath my 885 today. See photo. You will use a 1/2 inch wrench on the nut and a 5/32 allen key on the screw. Then you will stick your feeler gauge through the oval slot on the side of the pressure plate. My 885 has an additional access panel on the side of the clutch housing and it may be easier to do the adjustment through that panel as opposed to the hole on the bottom. Bring your flashlight / trouble light and a helper to point the light. You can probably get by with straight feeler gauges, but if you have angled feeler gauges, bring those also. Posted: Sun Jan 14, 2018 3:42 pm Post subject: Re: Does the DB885 have a two-stage clutch? Super Joe! Thanks very much.